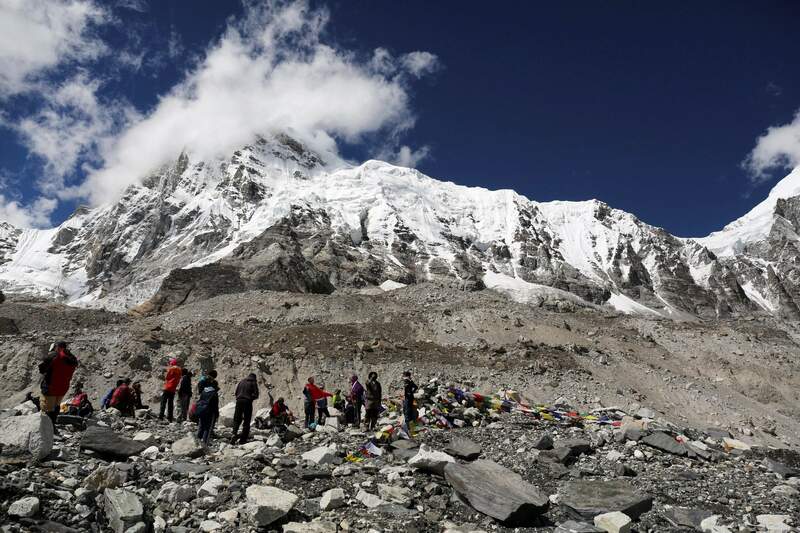 Trekkers rest at Everest Base Camp, Nepal, on Sept. 27, 2015. Two records were broken on Wednesday when Kami Rita summited the mountain for the 22nd time and Lhakpa Sherpa summited for the ninth time, the most by a female climber. Nepalese veteran Sherpa guide, Kami Rita, 48, scaled Mount Everest on Wednesday morning for the 22nd time, setting the record for most climbs of the world’s highest mountain, officials said. 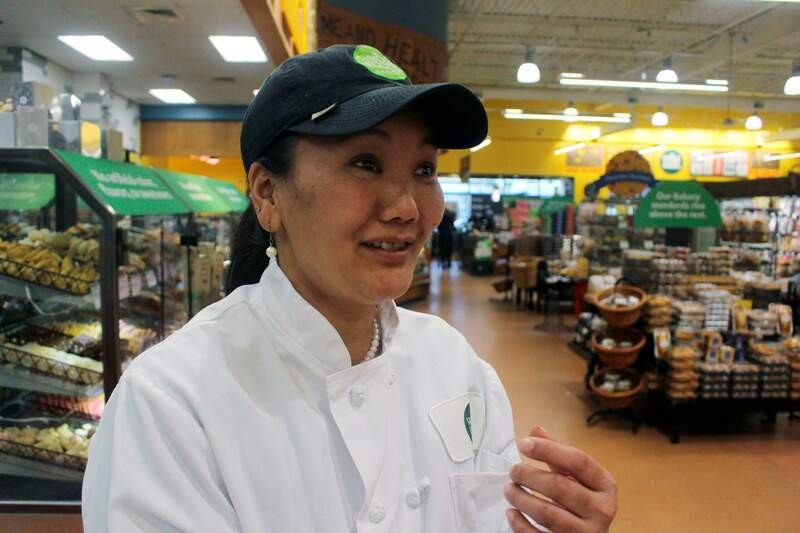 Mountain climber Lhakpa Sherpa prepares to start her shift as a dishwasher at the Whole Foods Market in West Hartford, Conn. Lhakpa Sherpa scaled Mount Everest for the ninth time, shattering her own record for the most climbs by a woman. 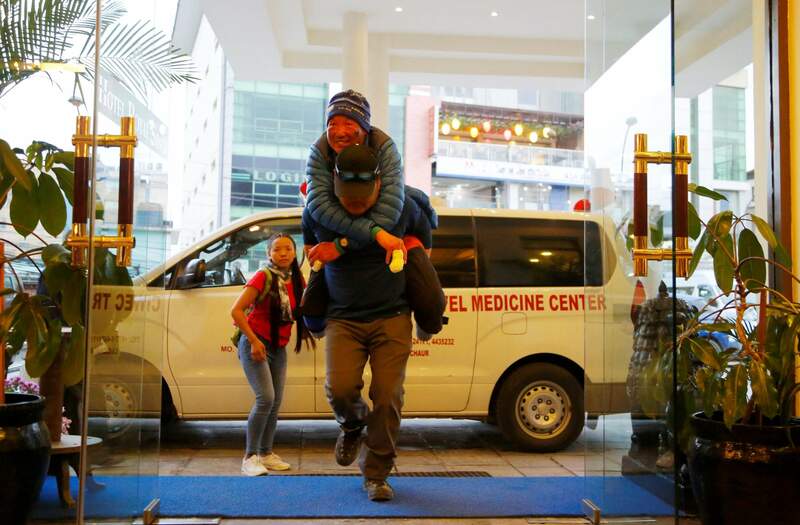 Chinese climber Xia Boyu, 69, is being carried as he arrives in a hotel in Kathmandu, after successfully summiting Mount Everest, Nepal, on Wednesday. Boyu, who lost both his feet while trying to reach summit, successfully climbed Everest on his fifth attempt. 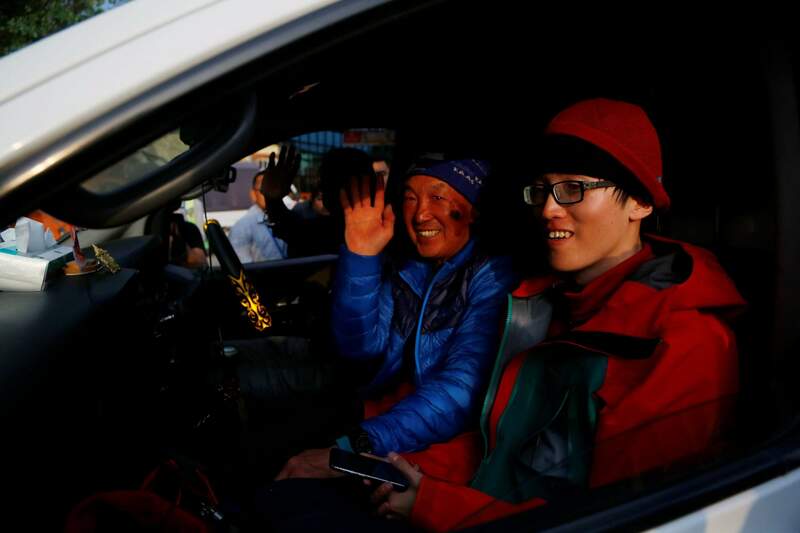 Chinese climber Xia Boyu, 69, waves as he arrives in Kathmandu after successfully summiting Mount Everest in Nepal on Wednesday. Boyu, who lost both his feet while trying to reach summit, successfully climbed Everest on his fifth attempt. KATHMANDU, Nepal – A veteran Sherpa guide scaled Mount Everest on Wednesday for the 22nd time, setting a record for the most climbs of the world’s highest mountain, while a female Sherpa made it to the summit for the ninth time, shattering her own record for the most climbs by a woman. 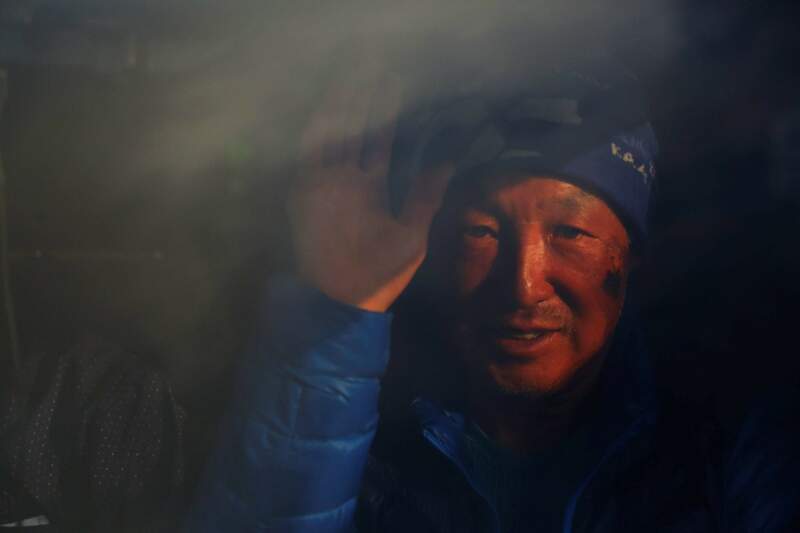 Kami Rita reached the summit on Wednesday morning with a team of foreign climbers and a fellow Sherpa guide, and was already safely descending to a lower camp by the afternoon, said Gyanendra Shrestha, a government official stationed at the base camp. 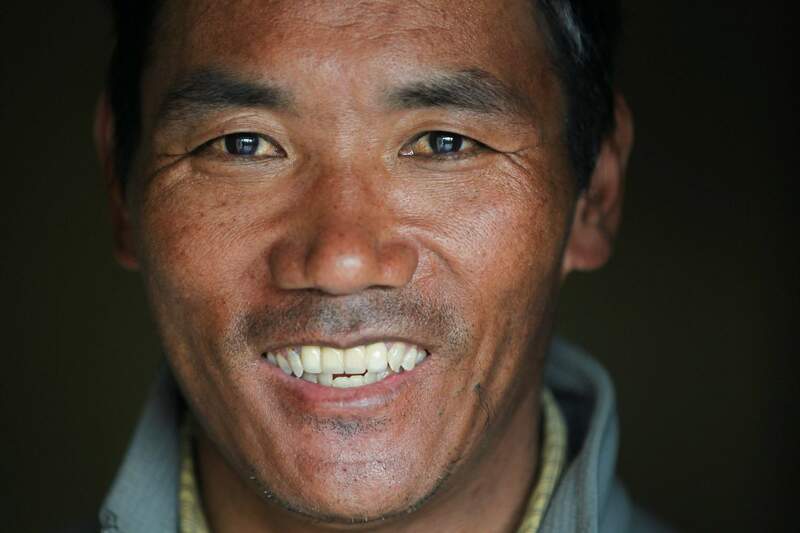 The 48-year-old was among three men – all Nepalese Sherpa guides – who had tied the previous record of 21 successful ascents of the 29,035-foot peak. Mountaineering has been his family tradition. His father was among the first professional guides after Nepal opened to foreign trekkers and mountaineers in 1950. His brother has scaled Everest 17 times. Most of his male relatives have reached the top least once.